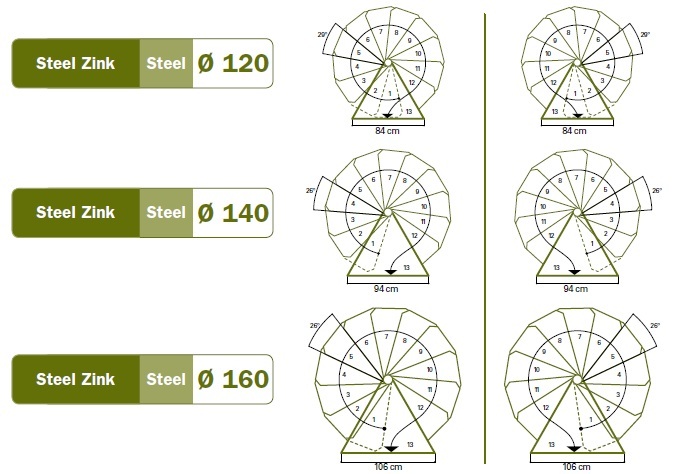 Available diameters 120, 140 and 160 cm. 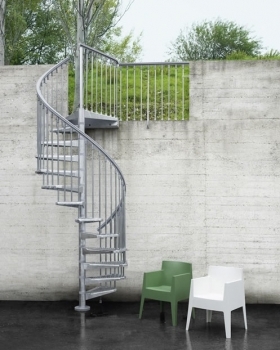 Stairs Steel version Zink are winding staircase for outdoor use in protected steel zinc bath. 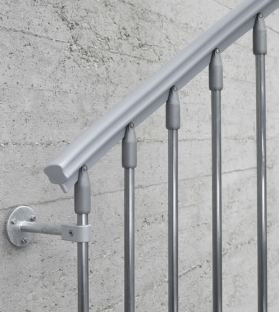 Handrail is made from PVC in gray like finishing steps. Fasteners are made of stainless steel (inox). Stairs have a platform that allows them to be installed in areas with no opening or with an opening of the square. The direction of rotation, consistent with clockwise or anticlockwise, is set during installation. 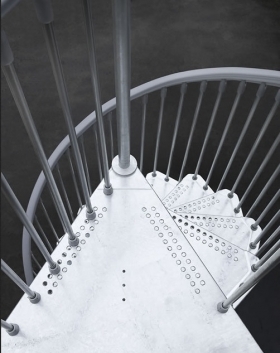 The handrail is made up of balusters made of steel protected in the zinc bath. 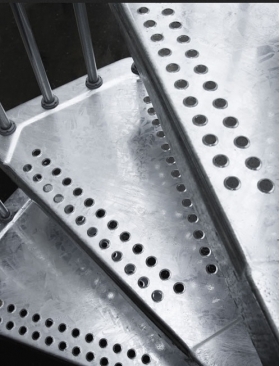 All metal parts are protected by a zinc bath. 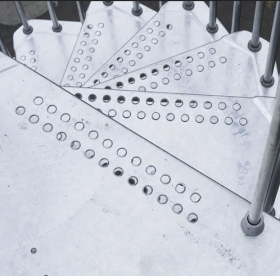 Spiral stairs Pixima Steel Zink from Albini & Fontanot S.p.A. on Vimeo. In the middle of the box, into which are packed stairs, there is bag with installation instructions, warranty and the code by which at the registration page www.pixima.it be extended by one year guarantee of purchased stairs.